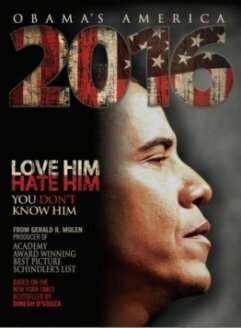 As a movie critic, I’ve been asked a lot lately if I saw the anti-Obama movie, “2016: Obama’s America,” which is in theaters today. My answer is no. I wasn’t sent a screener or invited to a screening. 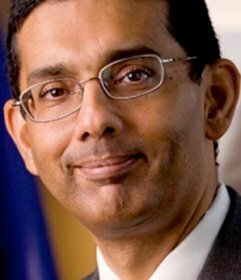 But, more important than that, I’m nauseated with all the gushing over Dinesh D’Souza, the maker of the film, who is also a well-known apologist for Islam and particularly extremist Muslims embraced and employed by the Obama administration, such as Obama adviser and Muslim Brotherhood agent Dalia Mogahed. What can we conclude from this book? First, that the values of the cultural left are an important source in alienating Muslims worldwide. Second, that Muslims don’t reject modernity or the West: rather, they embrace what may be termed “1950s America” while rejecting the libertine values of the 1960s. Third, America can build alliances with traditional Muslims by showing them the face of traditional America, so that they see that Hollywood values aren’t necessarily American values. Finally, left-wing groups like International Planned Parenthood and Amnesty International should stop pushing feminism, gay marriage and libertine values in the Muslim world. Iraq is the only country in the Middle East where the Muslim population actually chose its own rulers. Really, Dinesh? Ever hear of HAMAS? You might wanna visit Gaza City and check out the Muslim population and the rulers they chose in free elections, schmuck. Why on earth would you elevate this Islamo-pandering schmuck and promote his movie? Are you that desperate to beat Obama that you’ll whore yourself out to anyone–ANYONE!–who will pretend to do your bidding? Only if you’re a moron, a word which sadly describes as many on the right as on the left of America’s political divide. The biggest irony here is that the many people who claim Obama is a secret Muslim (and it’s not secret that his father was a Muslim, and therefore, according to Islamic law, he is, too), and they won’t vote for him because of it are embracing this glorified pan-Muslim propagandist who praises and promotes actual extremist Muslims, such as Ms. Mogahed. Is Islam the Problem? 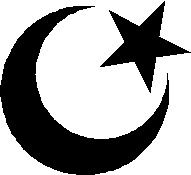 My book “The Enemy at Home” says no, locating the problem in the way that liberal foreign policy and liberal values projected abroad have strengthened radical Islam and emboldened it to attack us. . . .
Islam has been around for 1300 years and the problem of Islamic terrorism is a recent one. How can Islam be to blame? That’s a statement only a complete ignoramus or a shameless liar would make. Which is D’Souza? Regardless of the answer, he shouldn’t be a hero to conservatives. He should be persona non grata. Connect the dots, people. You cannot–with a straight face–attack the left and the Democrats for embracing Islamic extremists and then embrace Dinesh D’Souza, who does the exact same thing and knows better. While we don’t want Obama to remain President in 2016, we should be extremely embarrassed that Dinesh D’Souza is still taken seriously in 2012. WHERE did Dinesh D’souza say that “America deserved 9/11”? I don’t see a source for that, so clearly Debbie Schussel is casting aspersions she doesn’t document. I think someone is using Islam to get them to do what they want and saying it is their God. Like in the Bible, many stories/incidences/parables are lessons on what you should NOT do according to God. They are killing for someone who has money to say it is what they believe in while someone sits back and watches, reeping the rewards. It will be too late when they figure out what they have done to their religion.